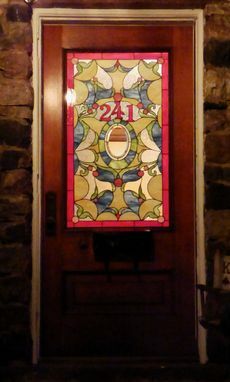 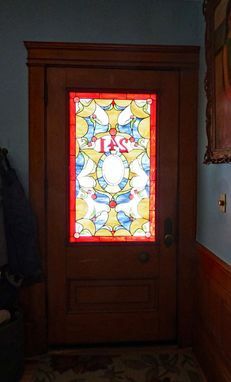 This original and colorful stained glass window is already decorating our customer's front door, as you can see in some of the photos listed. 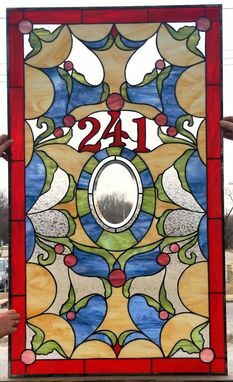 Size is 28 3/8 wide X 48 3/8 tall. 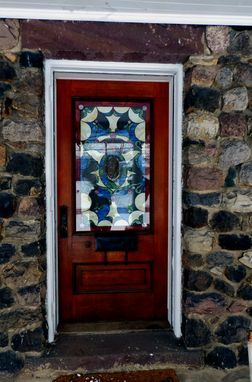 Glass colors selection was made taking into account that the outside of our customer's house is red, blue and stone. She also wanted to have the address number in the design as well as some clear glass at the eye level area of the design so that she could check who is at the front door.